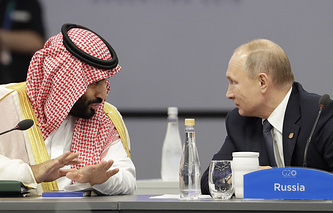 "Investments from the Saudi side in Russia are going to be increased, including Russian tourism projects. The Russian-Chinese-Saudi fund will also invest in Saudi Arabia’s tourism supported by the Saudi state," he said. Dmitriev noted that the Saudi side is very interested in attracting Russian travelers to the country. "An average of 6 mln tourists visit Turkey (annually), and 3 mln visit Egypt. We want more (travelers) to come here," he said. "As you know the kingdom was closed for tourism. Currently it is opening opportunities, for us as well," CEO added.